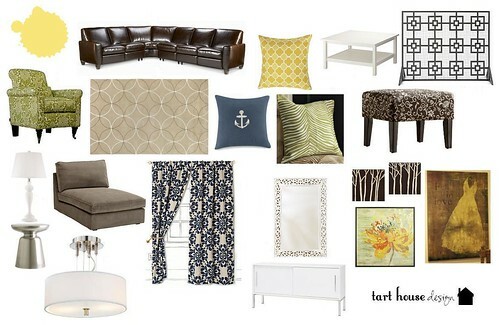 Here is a room board I did recently for a client who had a very large living room to fill. 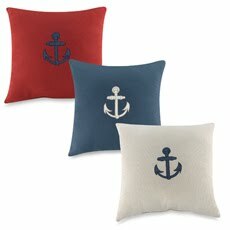 One of my favorite finds from this room board is the anchor pillow. It's from Bed, Bath, and Beyond; and is only $20! If you'd like a room board, e-mail me for more info! Erica, I Love the green chair! Can you tell me where you found it? That's a pretty sweet green chair. The green chair is from the Angelo:HOME line (he is the host of Rate my Space on HGTV). You can get it at Overstock.